…if you define its size, orbit and type in such a way that it can be detected only by large, specialized telescopes controlled by the globalists. Those who control the telescopes can also control what you see through them. “Following the release of their first three international bestsellers Petrus Romanus, Exo-Vaticana, and On the Path of the Immortals Thomas Horn and Cris Putnam were swamped with interview requests from radio, television, and print media outlets around the world. 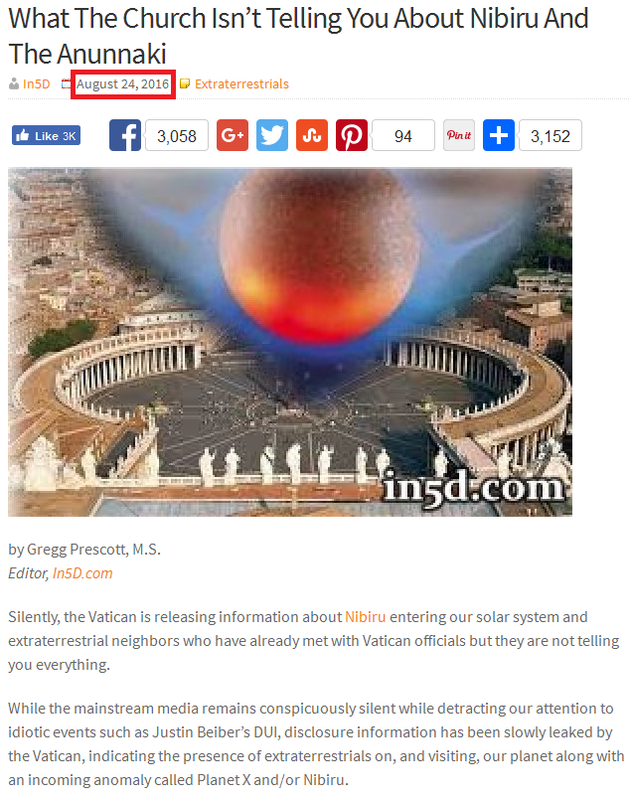 When they accurately predicted the resignation of Pope Benedict XVI one full year in advance, even naming the very month and year he would step down, global shock waves raised compelling questions regarding why the Vatican has an advanced telescope perched atop Mt. Graham in Arizona (USA) where the Jesuits admit they are monitoring something approaching Earth. The fact that Tom Horn is hinting at the arrival of Nibiru tells us that it might be in play as part of the globalists’ fake alien arrival scenario. And before you dismiss a potential fake alien arrival out of hand, I remind you that it was none other than Laurance Rockefeller – one of the architects of the New World Order implementation plan – who got the modern UFO Disclosure movement started. His association with, and funding of, the Disclosuristas suggests that UFO Disclosure has a part to play in the NWO rollout. Over the course of this week, we’ll have a look at this and other related propaganda, then I’ll tell you how the globalists will fake Nibiru’s arrival (if they are stupid enough to go through with the magic show this year and/or in 2023). > in5d is assigned to “Team Satan,” so they promote “the channeled doctrines of devils” (New Age material) and portray the “aliens” as being “benevolent space brothers.” Should the globalists opt to follow through with the alien magic show, these space brothers (who are actually nothing more than lab-grown GMO humanoids) will team up with Putin’s “reformed” UN to fight the fake Christ figure when he shows up in 2023. Pluto entered Capricorn in 2008 and will remain there until 2023. Pluto is known as the “Destroyer” and will destroy everything that is not in humanity’s best interests, including money, government and religion. The last time Pluto was in Capricorn was in the 1700’s during the French and American Revolutions. If you look around the world, you will see revolutions in many different countries. So both the New Age and Judeo-Christian elements of the globalist “End Times” propaganda effort agree that 2023 is the big year. Since they work for the same people, this should come as no surprise. 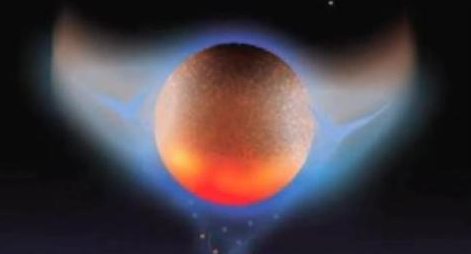 > Here is a report that suggests Nibiru has been tracked by the WISE and IRAS telescopes. WISE stands for Wide-field Infrared Survey Explorer and IRAS stands for Infrared Astronomical Satellite. Both are NASA space telescopes. 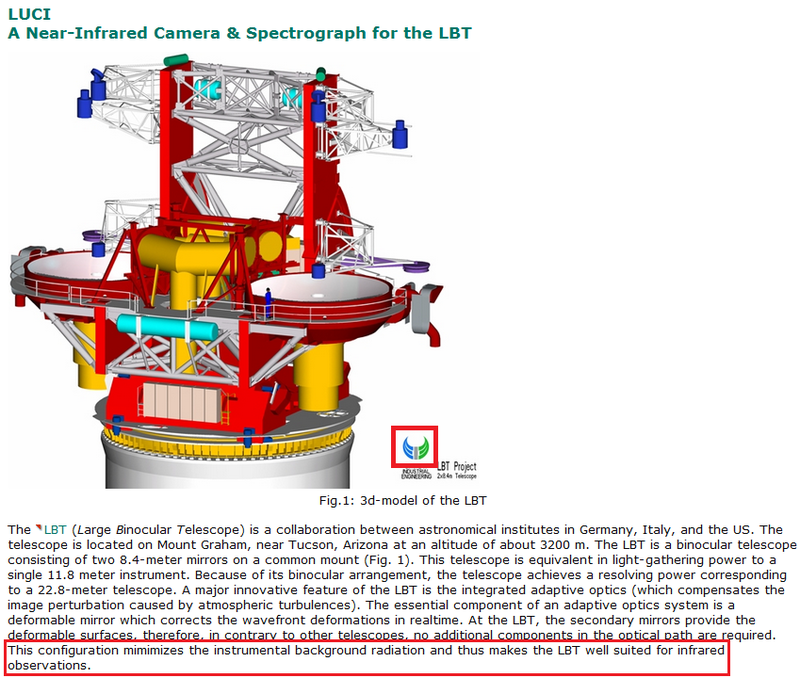 > And we’ve already seen Tom Horn’s suggestions that astronomers are using the Large Binocular Telescope and its LUCIFER (now called “LUCI”) near-infrared camera to watch Nibiru’s approach. In fact, here is an article of his that describes how the Jesuits kindly took him on a tour of the Mount Graham complex (which is something you do for someone who is spreading your propaganda for you). So as you can see, the propaganda suggest that Nibiru is too distant and too faint to be seen through visible light telescopes. It must instead be viewed by very large telescopes that can see in the infrared and microwave spectra and that are placed in ideal observation locations like the top of an isolated mountain, on Antarctica, or in space. How many people do you think can afford to site, build and operate such telescopes? …Image from the Max Planck Institute for Extraterrestrial Physics. And telescopes near the South Pole and in space don’t come cheap either. Building and operating such instruments can be afforded only by globalist-run governments, globalist-financed Big Science constortia, and oligarchs. So the globalists control all the eyes through which we’ll supposedly see Nibiru, and independent astronomers using inferior instruments will have no way of challenging their claims. In the case of a regular telescope, visible light shines down from the sky and is passed through mirrors and lenses directly into your eye. It would therefore be very hard to project a fake object through such an instrument. But in the case of an infrared telescope, infrared light shines down from the sky and is passed through mirrors and lenses directly into an infrared sensor. 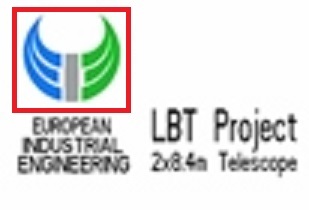 The data from that sensor is then converted to a visible image through digital image processing. And it is this digital intermediary (DI) between the object and observer that creates the potential for some very convincing fakery. 2) create a dynamic 3D image of the object using vector graphics. This would allow the image to be scaled to the native resolution of each telescope involved in the deception. 3) Combine the orbit and image into a custom software package for each telescope, then install it. This is the way I’d conduct the deception if I were in their shoes. And if I, a regular jagoff, can think of it, you can be certain that they thought about it and implemented it a long time ago. WHY would they fake it? Summing up the answer in a concise phrase, it is “to blow people’s minds.” Can you imagine how the public would react to an announcement – made by “credible mainstream scientists” – that another populated planet exists right here in our own solar system? People’s existing work-a-day reality would be shattered, and their minds would be opened up to new possibilities. And open, malleable minds is what the globalists want as we transition into the New World Order and the Thousand Year Reich of “Jesus” that will follow. If we get to the underlying objective in the globalists’ promotion of ETs and the Anunnaki myth, it is to revive belief in a “Christ”-based universal religion. The new Kabbalized Christian Catholicism will be based on a story that people can follow (the Anunnaki narrative), and people will be able to see “real proof” (in the form of “ET” visitors and “ET” spacecraft) that what the religion talks about is valid. There will be no more worshipping an invisible, imaginary god; you’ll be able to see “god” for yourself. And it all begins with showing the public counterfeit images of Nibiru taken through an infrared telescope. For more information on Laurance Rockefeller’s involvement in the NWO and the Disclosure movement, read Why are the Rockefellers and the Jesuits guiding the UFO Disclosure Movement? For more information on the Anunnaki narrative offered by the in5d article, read The Vatican is preparing to introduce the Anunnaki to us. And for more information on how the globalists will fake an alien arrival, read the bottom portions of Obama the “Antichrist” and “Divine Intervention” in September 2016. …but I suppose that’s just an insignificant coincidence, right? This entry was posted in Extraterrestrials, Globalist Prophecy Watch, NWO on August 25, 2016 by kenneth.